The hunt for a disc problem as the cause of low back pain leads many to an inconclusive diagnosis and treatments destined to fail people. Sacroiliac Joint Dysfunction is not a disc problem in hiding. Sacroiliac Joint Dysfunction does not have to be a problem that can only be solved with fusion surgery. The treatment and diagnosis of sacroiliac joint dysfunction are complex and confusing. This is why there is no gold standard of treatment. 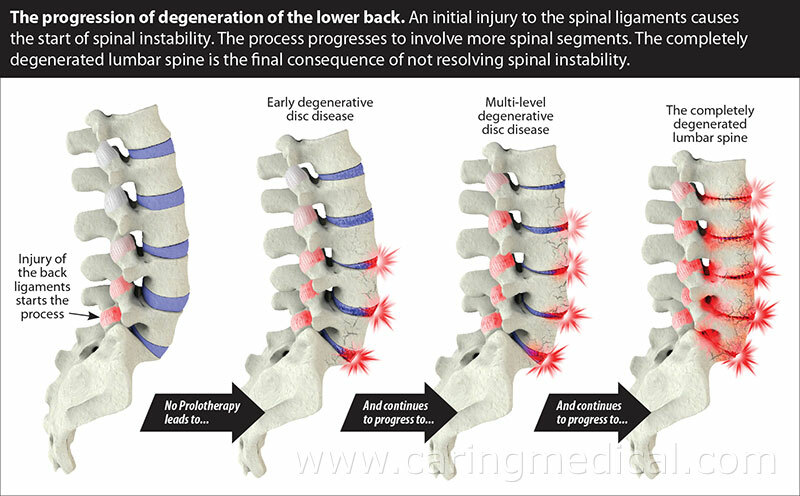 However, there is no gold standard of treatment if you are hunting disc disease as the problem because of failure to identify the source of low back pain as sacroiliac (SI) joint dysfunction. We are going to start presenting evidence in this article that many people can have their sacroiliac joint dysfunction healed if the focus of their treatment turns from looking at disc disease to looking at spinal ligament damage and weakness causing sacroiliac (SI) joint instability, weakness and pain. Further, we will discuss new and archival research which shows Prolotherapy injections to be a “high value,” treatment. Often people will come into our office with an MRI that shows disc herniation, disc protrusion or bulging disc, or degenerated discs. The MRI is all about the disc, disc, and disc. Most people who injure their back significantly enough to visit a health care provider think that this injury is an acute event. For those of us in the regenerative medicine field, for the many patients we see, this is an acute event that sits on top of years of degenerative wear and tear. The straw has finally broken the camel’s back or, in this instance, the sacroiliac joint. Is no one looking because Sacroiliac Pain is really rare? In October 2018 a study in the journal of Clinical spine surgery (1)from the The Steadman Clinic and Steadman Philippon Research Institute, looked at the currently reported incidence of primary sacroiliac joint pain and it reported 15% to 30% of low back pain complaints. The study noted that the origins of sacroiliac joint pain and dysfunctions are controversial and pain generation from this joint has been questioned. 124 patients, chief complaint sacroiliac joint pain. and 3 (3%) had an undetermined source of pain upon initial diagnosis. Conclusion: The sacroiliac joint dysfunctionsis a rare pain generator (3%-6%) in patients complaining of sacroiliac joint region pain and is a common site of referral pain from the lumbar spine (88%-90%). Clinicians ought to quantify areas of pain (via percent of overall complaint) when interviewing their patients complaining of low back pain to distinguish potential pain generators. Recommended breakdown of areas of interest include axial low back, sacroiliac joint region , buttock/leg, groin/anterior thigh. What is stressed here in in agreement with what we suggest to patients. It is not the SI joint, it is the ligaments that the SI joint sits in and is connected to the lumbar spine, the groin area, the buttock area, and the front thigh area. Sacroiliac joint pain rarely is an isolated problem. When people injure their lower back acutely enough to seek medical care, they usually injure it when they bend and twist to the side. When they come into our office and we perform a physical examination, the patient will complain that the pain is coming from the side, not the center of the back. Why is this designation important? Because the center is where the discs are. The sides are where the ligaments are. The Sacroiliac joint is a huge joint that sits in a sea of ligaments that holds the lower back in place. Yet when people come into our office seeking a non-surgical option to their back pain they do not even know what the sacroiliac joint is because no one has discussed this joint as being a problem. Only the discs that appeared on MRI. In December 2017, doctors at the University of Colorado published in The Journal of Bone and Joint Surgery, their paper “Diagnosis and Management of Sacroiliac Joint Dysfunction.” Here they summarized the challenges facing doctor and patient in treating Sacroiliac Joint Dysfunction. Is it really Sacroiliac Joint Dysfunction. or is it the discs or is it the hip? Pain when shifting positions such as standing from a seated position. Radiation to the groin or Fortin area (the side of the low back). Doctors should explore various methods of determining Sacroiliac Joint Dysfunction, including pain referral patterns, provocative maneuvers (a physical examination that tries to isolate the pain source, as in the Fortin finger Test), and response to injections. While its effectiveness remains unsubstantiated, manipulation of the Sacroiliac Joint is noninvasive and warrants consideration as an initial treatment. (Please see our companion article Why physical therapy and yoga did not help your low back pain). The diagnostic validity of local anesthetic and/or corticosteroid injections is difficult to assess as the criteria for a positive response are not uniform in the literature, and evidence to support intra-articular injections (anti-inflammatories) for therapeutic purposes is weak. New minimally invasive fusion techniques appear to decrease the morbidity of open procedures with at least comparable outcomes. (2) (Please see our companion article Minimally invasive spinal surgery procedures research). Research like that above shows that there is no consensus in the medical community, based on very most recent research, that can quantify the amount of pain symptoms sacroiliac joint dysfunction causes or even determine if that pain is, in fact, coming from the sacroiliac joint. This understanding of the non-understanding of where sacroiliac joint comes from has concerned some researchers about recommending patients for sacroiliac joint fusion surgery and, further, why it should not be recommended. If the research above makes Sacroiliac Joint Dysfunction sound confusing listen to what research published in the International Journal of Spine Surgery suggests about nerve blocks. The research clinicians say to diagnose sacroiliac joint dysfunction as the cause of pain, you need to be able to find, treat, and alleviate that pain. 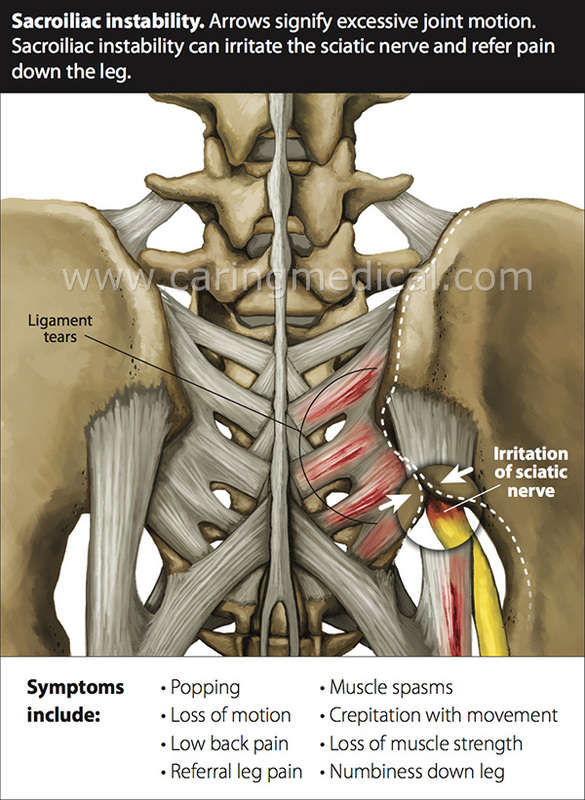 Typically this is done with a nerve block that offers some degree of sacroiliac pain relief. But . . .
if a nerve block was seen to offer a 50% reduction in pain, then surgeons should proceed with fusion. In our office, we would try much less invasive Prolotherapy first. Because the study above still recommends patients should get spinal fusion surgery even without clear evidence to suggest it would work. Please also see our article Failed Back Surgery Syndrome. “Pain related to joint dysfunction can be treated with joint fusion; this is a long-standing principle of musculoskeletal surgery. However, pain arising from the sacroiliac joint is difficult to diagnose. Several implant devices (fusion techniques) are available that promote fusion by simply crossing the joint space. (However) Evidence establishing (successful fusion) outcomes is misleading because of vague diagnostic criteria, flawed methodology, bias, and limited follow-up. Lumbar Decompression surgery can be one procedure or it can be a combination of three procedures. It can be a traditional open spine procedure or a minimally invasive procedure, (Minimally invasive lumbar decompression or MILD). Laminectomy. Laminotomy is the removal of all or part of a lamina, the flattened or arched part of the vertebral arch. Complete laminectomy or bilateral laminectomy means removal of the spinous process and the entire lamina on each side of it. Hemilaminectomy or unilateral laminectomy means removal of the lamina on one side of the spinous process only. When the opening to the nerve root is enlarged, this is called a foraminotomy. For the right indications, spinal surgery can resolve symptoms. Discectomy. This procedure cuts away the disc material pressing on the nerves. Please see our article Discectomy or Microdiscectomy for more research. Spinal Fusion. Spinal fusion has probably been explained to use as the “fusing” of the vertabare at more than one segment. Please see our article The evidence against spinal fusion surgery. Can back surgery create new and more complex sacroiliac joint pain? “The initial phase of (sacroiliac joint) treatment involves nonsurgical modalities such as activity modification, use of a sacroiliac (SI) belt, NSAIDs, and physical therapy. Prolotherapy (which we will discuss below) and radiofrequency ablation (burning out the nerves) may offer a potential benefit as therapeutic modalities, although limited data support their use as a primary treatment modality. Surgical treatment is indicated for patients with a positive response to an SI (painkiller) injection with greater than 75% relief, failure of nonsurgical treatment, and continued or recurrent sacroiliac joint pain. What does all this mean to the patient being recommended to spinal surgery or with continued sacroiliac joint dysfunction after surgery? Prolotherapy (our treatments of therapeutic injections) and radiofrequency ablation can be of help but were not the primary focus of this study, surgery was. You may want to explore these options before the surgery. If you had a positive response to painkiller injection, you would be a good candidate for surgery. In our opinion if you had a positive response to painkiller injections you would likely be a good candidate for more injections, Prolotherapy, and not need the surgery at all. The study continues with recommendations to surgery and what to do if the first surgery fails. Lumbar decompression surgery that makes sacroiliac joint dysfunction worse is a very difficult concept for many people to understand. The reason these people went to lumbar decompression surgery was to relieve sacroiliac joint dysfunction. The fact that conservative treatments failed and then minimally invasive lumbar decompression surgery failed and that their own back pain / sacroiliac joint-related pain was now worse can lead to great confusion and frustration. A patient suffering from Sacroiliac joint dysfunction symptoms may have pain from inflammation, commonly referred to as sacroiliitis. Sacroiliac joint inflammation is a difficult diagnosis to determine as it may come from an infectious disease or be caused by a rheumatology disorder. For many patients, inflammation of the sacroiliac joint is NOT caused by infectious disease but by chronic degenerative inflammation including ankylosing spondylitis (chronic joint inflammation between the vertebrae between the spine and pelvis). In some cases, a rheumatologist will be consulted. Sacroiliitis pain and symptoms include pain on one side of the lower back (unilateral sacroiliitis – one of the SI joints is inflamed) or both sides (bilateral sacroiliitis, both SI joints are inflamed). Sacroiliitis can also be brought on by wear and tear osteoarthritis, by impact or acute traumatic injury. Pregnancy may also be a cause. The first thing the doctor may offer you is anti-inflammatory medications, a sacral belt (low spine support brace), and a recommendation to change your activities and/or lifestyle to avoid more stress on the sacroiliac joint. Some doctors may suggest cortisone into the sacroiliac joint and warn the patients of possible cortisone injection side effects. However, this approach may not be addressing the problems that weakened or damaged spinal ligaments are the cause of sacroiliac joint instability and chronic inflammation. This will be addressed below. In the journal Clinical Medicine Insights. Arthritis and musculoskeletal disorders, Danielle Steilen-Matias, PA-C described the source of low back and buttock pain as related to the sacroiliac (SI) joint is present in as many as 15%–30% of back pain patients and perhaps up to 40% in patients who have had a previous lumbar fusion. SI joint dysfunction may also produce pain similar to a herniated lumbar disk along the same sciatic nerve distribution. Before I continue with the research on Prolotherapy for sacroiliac joint dysfunction, I would like to reinforce the argument that we need to shift focus away from the problems of the discs to problems of the ligaments in treating Sacroiliac joint dysfunction. This is an interesting study in that it discusses referral pain patterns. It has been well established that an injury in one part of the body can affect other, distant body parts, especially in regard to a ligament injury. Here the Japanese doctors speculated that the sacroiliac joint may be the cause of pain in other parts of the pelvic region and that these pain origins may be centralized to the joint’s posterior ligamentous region. and other (cranial portion of the ilium outside the SIJ – in the illustration above that would be the left most white band in the left side panel) = section 0. Referred pain from section 3, in the lower buttock. In all, 22 (44.0 %) patients complained of groin pain, which was slightly relieved by lidocaine injection into SIJ sections 1 and 0. Foremost, the patients in this study had pain from the ligaments of the sacroiliac joint region. What if they were sent to traditional treatment, that is a spinal fusion surgery? Will the fusion help or hurt these patients? If anything the surgery will damage already damaged ligaments and create a high risk for Failed Back Surgery Syndrome. The investigation expanded. In a paper from October 2017, the same Japanese research team publishing in the medical journal Clinical neurology and neurosurgery (8) looked to identify the prevalence of groin pain in patients with sacroiliac joint dysfunction, lumbar spinal canal stenosis, and lumbar disc herniation who did not have hip disorders. the pain areas in the buttocks and back; including pain increase while in positions such as sitting, lying supine, and side-lying; an sacroiliac joint dysfunction shear test (manual physical examination of range of motion); and four tender points composed of the posterior superior iliac spine (PSIS), long posterior sacroiliac ligament (LPSL), sacrotuberous ligament (STL), and iliac muscle. Fifty-nine (46.5%) patients with sacroiliac joint dysfunction had groin pain, In these patients, pain provoked by the sacroiliac joint dysfunction shear test and the tenderness of the posterior superior iliac spine and long posterior sacroiliac ligament were significant physical signs that differentiated sacroiliac joint dysfunction from lumbar stenosis and lumbar disc herniation. The prevalence of groin pain in patients with sacroiliac joint dysfunction dysfunction was higher than in those with lumbar stenosis and lumbar disc herniation. When patients who do not have hip disorders complain of groin and lumbogluteal pain, not only lumbar disorders but also sacroiliac joint dysfunction should be considered. In other words, there was a link up between groin pain and low back pain. Treating the ligaments also presents a pain solution in sacroiliac joint pain treatment where some doctors say a solution does not exist. Doctors generally accept that approximately 10% to 25% of patients with persistent low back pain may have pain arising from the sacroiliac joints. The evidence for cooled radio frequency neurotomy in managing sacroiliac joint pain is fair. The evidence for the effectiveness of intraarticular steroid injections is poor. The evidence for the effectiveness of conventional radiofrequency neurotomy is poor. The evidence for pulsed radio frequency is poor. A lot of poor results. Are poor sacroiliac joint pain treatments better than no treatments? Our clinical experience has been that if we treat back pain with Prolotherapy, administering injections into the lumbar and SI ligament attachments that exhibit tenderness, the pain and referred pain diminishes, even when MRI’s showed disc abnormalities. The injections are not given near the discs yet the back pain is completely healed. Ligaments are bands of fibrous tissue that connect bones to each other, like the vertebrae to each other and the sacrum to the pelvis. The sacrum is the part of the spine below the fifth and last lumbar vertebrae and above the coccyx. The uppermost portion of our pelvis is called the ilium. The area that connects these structures is the sacroiliac joint (SI): sacro from the sacrum, iliac from the ilium. Returning to the opening of this article – the diagnosis of sacroiliac (SI) pain is tricky. The prefered diagnostic method of a skilled Prolotherapist has always been palpitation – gently press down with your thumb to reproduce pain. “X” then makes that spot. See our article on the Accuracy of MRI for assessing treatment. When asked to pick the spot from which pain emulates, people almost always point to the top of the sacroiliac joint. When asked when makes the pain worse, patients usually mention positions that increase the force on the sacroiliac joint, such as sitting. When asked which positions make the pain better, patients will describe positions that decrease the force on the sacroiliac joint, such as lying down with the knees bent or on their sides with a pillow between the legs. When describing their pain, it is mostly in the lower back, off midline, and in a sacroiliac ligament referral pattern that is almost always very low in the back and involves the buttocks. The pain pattern involves a numb feeling but no true numbness, and it skips the knee. True nerve entrapment involving the sciatic nerve from a herniated disc or a pinched nerve from a bone spur characteristically is most severe down the leg, involving the knee and going into the foot, and the patient has some true loss or decrease in feeling (sensation). Physical examination stressor maneuvers on the sacroiliac joint. One hundred forty-five patients, who had been in pain an average of four years and ten months, were treated quarterly with Prolotherapy. This included 55 patients who were told that there were no other treatment options for their pain and 26 patients who were told by their doctor(s) that surgery was their only option. In this study, all patients included in this study attended at least one follow-up visit at 3, 12 or 24 months. 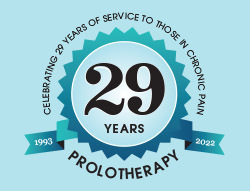 Prolotherapy is an injection treatment that stimulates the repair of connective tissues such as tendons and ligaments. It causes a mild inflammatory response which initiates an immune response. This mimics what the body does naturally to heal soft tissue injuries. The most common pelvic instability is sacroiliac instability, caused by injuries to the stabilizing ligaments of the sacroiliac joint. These ligaments are typically injured through the combined movements of spinal flexion and rotation. 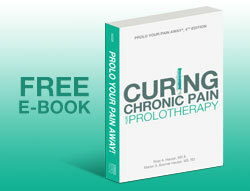 In it, he stated, “A joint is only as strong as its weakest ligament.” This was the first comprehensive text describing the research and technique of using Prolotherapy to cure chronic pain. In regards to low back pain, Dr. Hackett found that about 90 percent of the patients had evidence of some type of ligament laxity, typically of the sacroiliac joint. In one of his analyses, of the 1857 patients treated for ligament laxity in the lower back, 1583 experienced sacroiliac ligament relaxation. Platelet Rich Plasma or PRP involves the application of concentrated platelets, which release growth factors to stimulate recovery in non-healing injuries. In this research, Forty patients with chronic low back pain diagnosed as sacroiliac joint pain were divided into 2 groups, steroid group and PRP group. Intensity of pain was significantly lower in the PRP group 6 weeks after treatment as compared to the steroid group. The efficacy of steroid injection was reduced to 25% at 3 months while it was 90% in the PRP group. 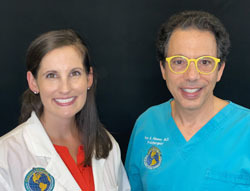 Doctors at the University of Toronto have published four case studies investigating the long-term benefit of platelet-rich plasma (PRP) injections reducing SI joint pain, improving quality of life, and maintaining a clinical effect. At follow-up 12-months post-treatment, pooled data from all patients reported a marked improvement in joint stability, a statistically significant reduction in pain, and improvement in quality of life. 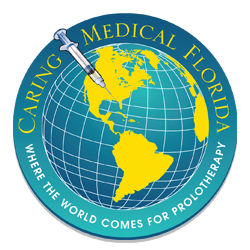 Many of the “prolotherapy failures” from other clinics that we see at Caring Medical Regenerative Medicine Clinics are not because of the wrong diagnosis but from the treatment not being thorough enough. 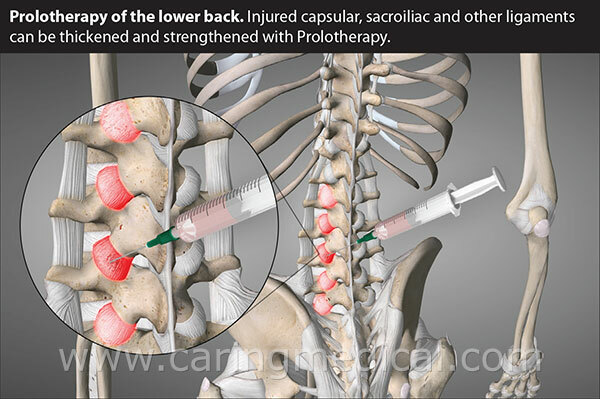 Since anatomically there is a continuous connection from the iliolumbar-sacroiliac-sacrotuberous-sacrospinous ligaments it is important to treat these ligaments thoroughly with Prolotherapy and PRP in order for the whole ligament complex to regain its tautness and strength. Do you have questions about your Sacroiliac Joint Dysfunction pain?